Feeders on outside, workers on the inside. 30 seconds each. Feeders - On toes, squat, linear lunge, lateral lunge, on toes. Workers - Inside volleys, outside volleys, laces volleys, headers, two touch pass, one touch pass. 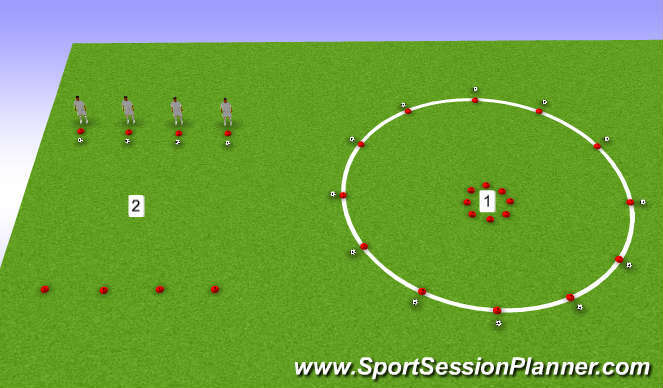 - Acceleration sprints - starting from short lunge position.